"Dead Tree Explosion - Reflections"
A couple pictures I took last week during my walk around Walnut Creek Lake. 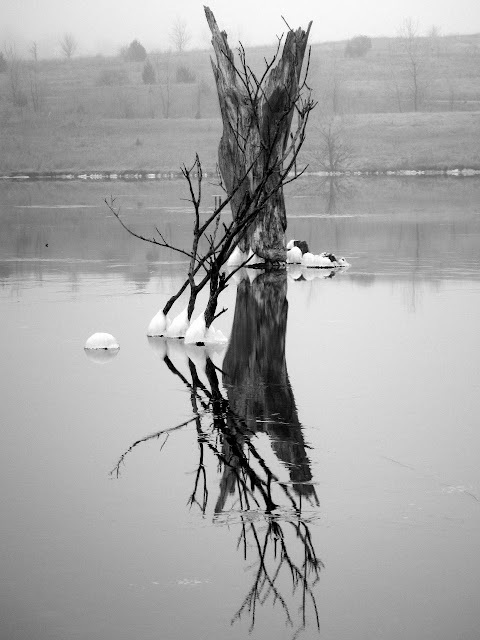 It was a foggy day and the air was still - ideal for reflections. 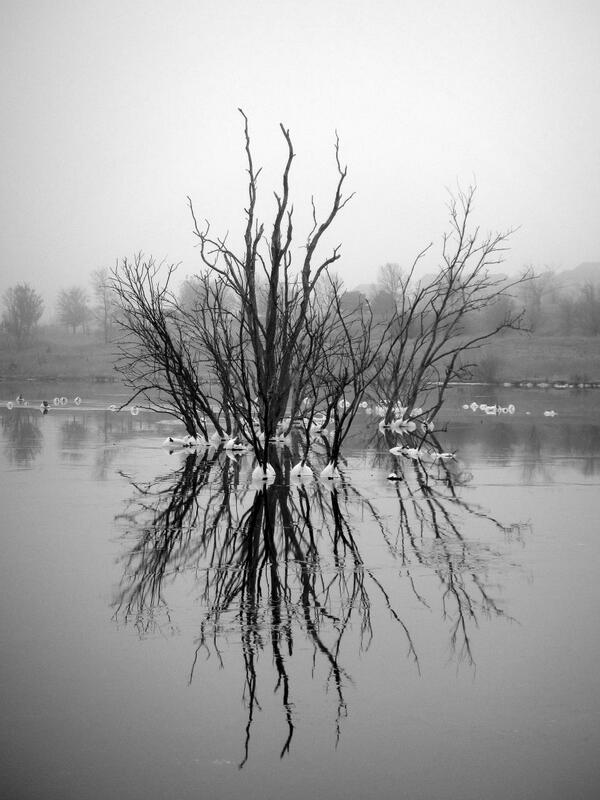 The foggy background, reflections, and naked branches just begged to be displayed in black and white ... so I did.